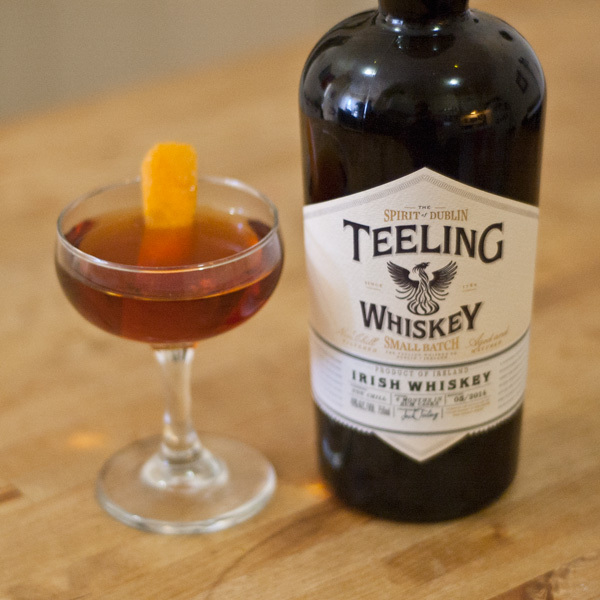 Happy St Patrick’s day to you all with a Teeling Irish Whiskey cocktail: The Bookseller! On my way to creating the above cocktail, I read through a bunch of classic Irish Whiskey recipes for inspiration. A couple of them are too good not to post so here they are! I will definitely be making one of them at home today! Cool right? I love that back in the early 20th C the answer to balancing out sweetness was to add an Olive garnish. Brilliant. I am really into the Irish Cocktail btw. 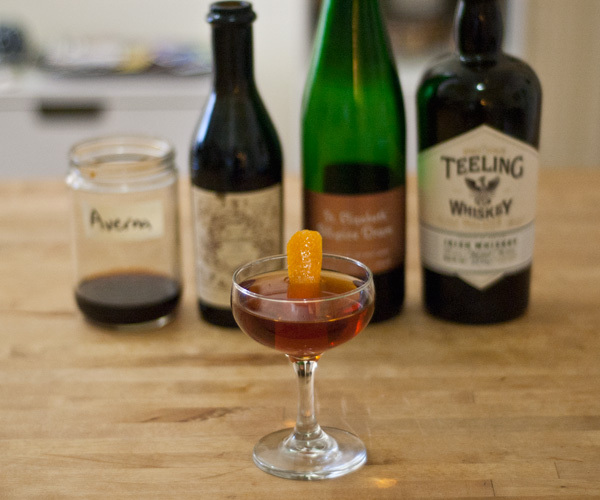 Now, back to St Patrick’s Day 2015: I decided to make a Manhattan Variation with Teeling Small Batch Irish Whiskey and Averna. 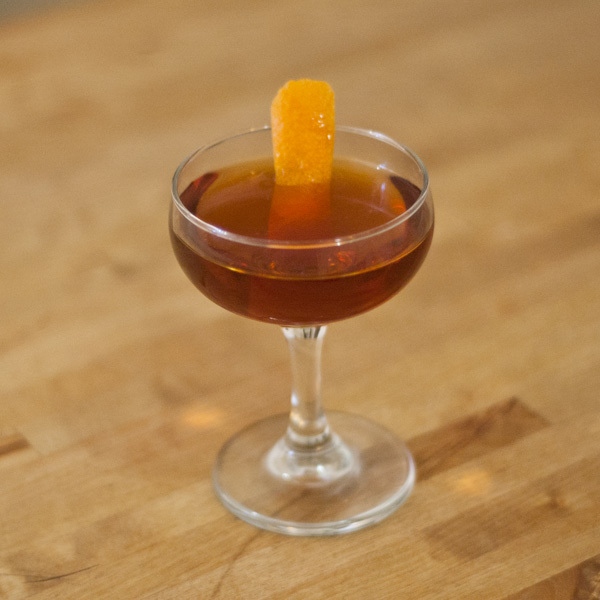 I knew that I wanted to use Carpano Antica as the vermouth because it goes so well with Averna. Who am I kidding, Carpano Antica goes with everything! I was looking for a finishing touch and a way to bring out all those Rum notes in the Teeling and St Elizabeth Allspice Dram called to me from on top of the fridge*. Combine ingredients and stir over ice until proper dilution has been achieved. Strain into coupe. Express Orange peel and garnish. *Yes, a lot of my liquor is kept in a nice red tray on top of the fridge. Remember, 500sq ft apartment y’all! It’s like you and your bottle of Teeling took a trip to the Caribbean and ordered a Manhattan. Yes.